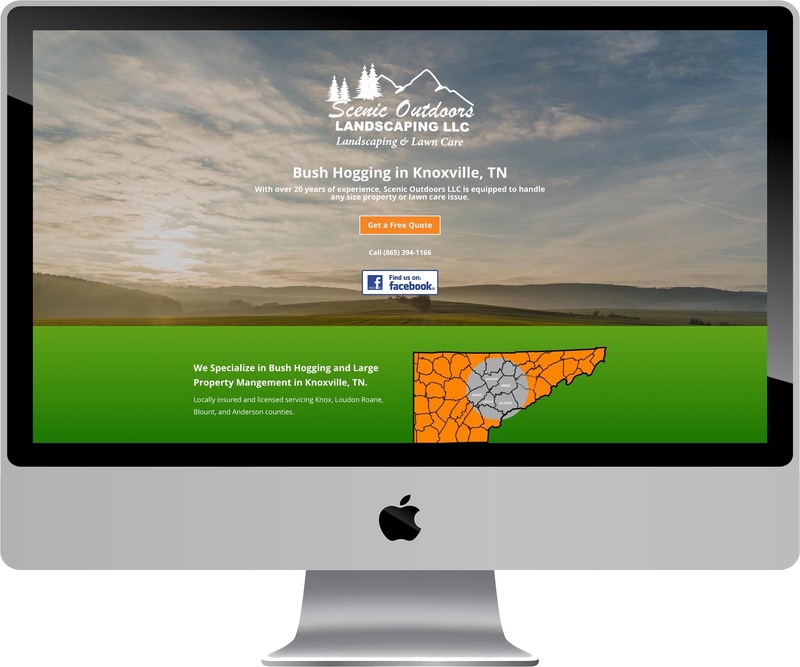 Mr. Sexton of Scenic Outdoors LLC had a website professionally designed in Knoxville but wasn’t ranking as well in search engines as he would have liked. Upon hiring Pioneer Media, his rankings started to increase. We recreated the website in WordPress and performed various search engine optimizations. The website is also now secured with an SSL security certificate, which helps with search engine rankings too. 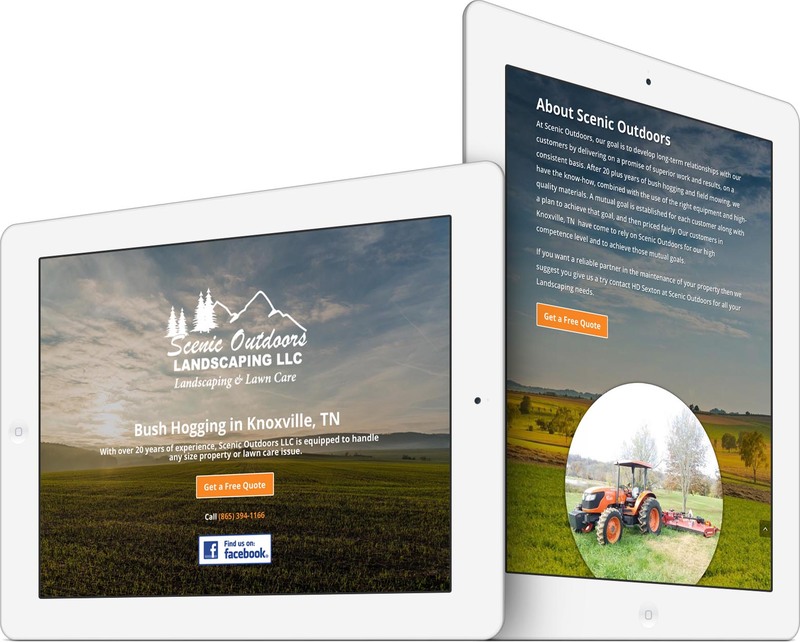 The site is built with a responsive design, so it adapts to all screen sizes and devices. 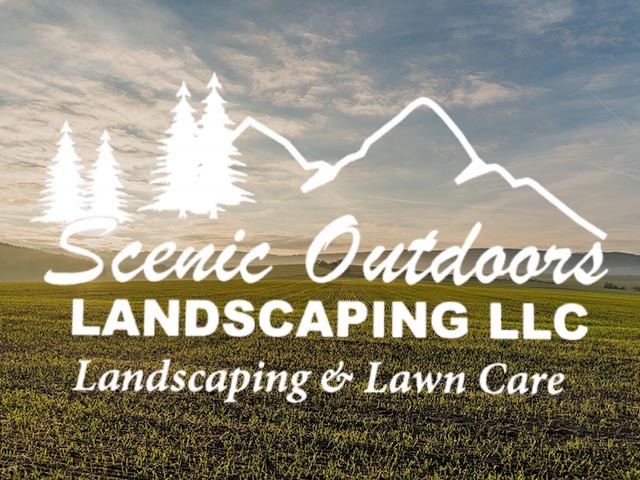 Scenic Outdoors LLC utilizes our Website Care Service to keep their website secure, hosted, monitored and up to date. 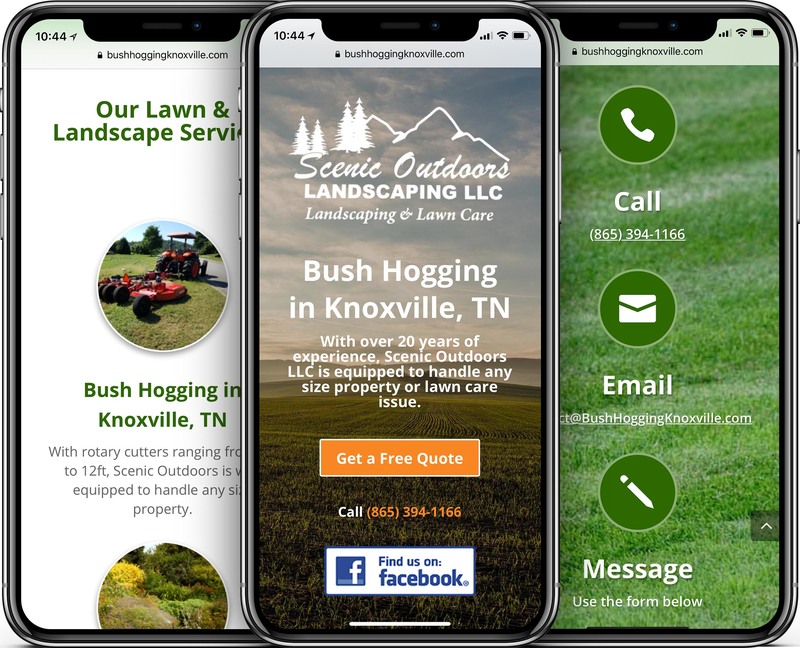 We specialize in bush hogging and large property management in Knoxville, TN. We are locally insured and licensed servicing Knox, Loudon Roane, Blount, and Anderson counties.